After weeks of hard work and ensuring every detail was completed according to our high standard of quality, the new Starbucks store was finally ready to open for customers. 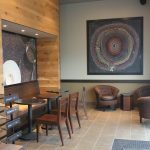 The grand opening on June 5 brought the very first Starbucks store to Franklin, MA. At JD Contractors, LLC, we are very happy we could be such an important part of this project. 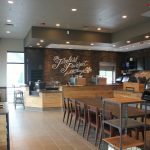 The new Starbucks store in Franklin offers everything a coffee shop customer could need and far more – from modern and comfortable furniture, inspirational artwork, plenty of seating options, to friendly baristas, a family atmosphere and of course, the tasteful coffee Starbucks is known for. This was all brought to Franklin, MA with the help of JD Contractors, LLC. 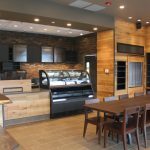 New Starbucks Store Almost Ready!